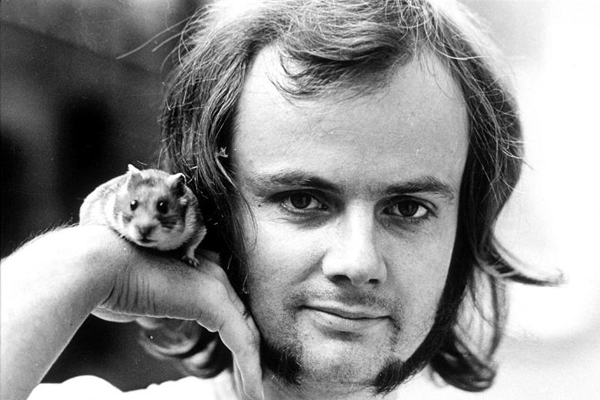 John Peel started working for the BBC in 1967 and didn’t stop until his death in 2004. He was one of the original Radio 1 DJs, and he was the longest-serving. It would not be an exaggeration to refer to his stature within the history of music broadcasting as ‘iconic’. Over a thousand people attended his funeral, including members of many of the bands he helped launch into stardom. The year after his funeral, Glastonbury changed the name of “The New Bands Tent” to “The John Peel Stage”. Peel’s total on-air hours across various programs, during which he continuously introduced generations of fans to their newest favourite music, must number in the tens of thousands. It is startling how few of these hours have been preserved. In Ripping the pith from the Peel, Ken Garner looks broadly at the history of BBC radio archiving practices, while focussing on a self-organised group of Peel fans who have been painstakingly piecing together hundreds of shows from combined bits and pieces of home cassette recordings made over four decades of listening to John Peel. The DIY archive Garner examines was created by a yahoo group formed in 1999, and which is still active. At the time of the article, the group had 857 members who were contributing roughly 50 new messages a week. To date, this yahoo group has managed to reconstruct over 1300 episodes from Peel’s career “by ripping, sharing and combining listeners’ collections of fragmentary off-air cassette recordings.” It is a spontaneously and continuously generated crowd-sourced archiving project. By way of contrast, the BBC had only ever kept 1178 of Peel’s 5651 regular shows. The criteria for selection were simple: a programme had to offer something out of the ordinary and exceptional, likely to be of interest and therefore reused by future programme-makers, in order to be selected, be recorded and get a place in the queue for possible permanent retention and preservation. The archive’s primary function, as a 1950 internal memo put it, was ‘to build up a storehouse of recordings for future use in BBC programmes’, which thereby also formed ‘a collection of recordings which has wider historical interest’; but the emphasis on the needs of programme-makers gave the collection a ‘concrete aim’ and ‘more practical criteria of judgement’ than any more general consideration of preserving audio for posterity. The ordinary, day-to-day-ness of Peel’s music shows, despite constituting an underlying part of the fabric of popular consciousness in the late 21st century, disqualified them from being ‘selected’, until perspectives began to shift towards and after the millennium. By 2003, Peel’s shows had begun to be recorded regularly, and the BBC had spent 2.5 million dollars to digitise the 40, 000 items that existed, by that time, in the Radio 1 archive, and they had launched Radio 6 with the express intention of focussing on archival material. While advancements like this were very welcome, they could do nothing to retroactively preserve what had never been kept, which is where the value of the crowd-sourced archive becomes dramatically apparent. And the source of the material has beautifully personal and organic quality. A fairly lengthy Survey Monkey about the project survey garnered a wealth of both data and anecdotal history. For me, taping tracks from the Peel show was a great way to hear and get to know new music. I taped every Peel show for years to listen to on my commute. As a postman I used to record Peel’s shows while asleep and listen to them on a Walkman while at work. I was a ‘pauser’ taper while at university, notionally studying. We used to swap tapes of Peel shows at school in the 70s. In the days before the Internet and living in a rural location with a very poor local record shop recording the music directly from his show was how my friends and I started our musical collections. I used to record music from Peely’s show during the punk era as I couldn’t afford to buy many records. I used to wait until the sig tune at 10 pm, put a C90 in and go to the pub. As a teenager with a crude mono tape recorder I listened when I was supposed to be asleep with my finger on the record button. The lost cannot be recovered; but let us save what remains: not by vaults and locks which fence them from the public eye and use, in consigning them to the waste of time, but by such a multiplication of copies, as shall place them beyond the reach of accident. Previous post ← Long live the thing!